Runners participating in the Meet Me At Maynards, a walk and running event downtown along East Congress Street. On Monday, April 15, participants of Meet Me At Maynards, a weekly social walk/run event, will be treated to live music by local performers along a two-mile birthday route. Meet Me at Maynards began in 2009 as a way to get people out and moving and to support Tucson’s downtown. Walks begin and end at Maynards Market every Monday where participants can listen to live music, exercise and dine at any of the more than 25 restaurants offering discounts for the events. 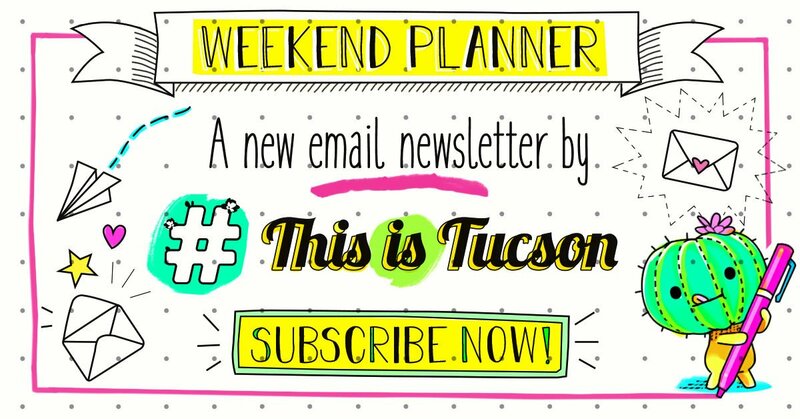 The birthday celebration includes 25 bands and musicians playing along the route near notable Tucson landmarks and businesses, including the Fox Tucson Theatre, Presidio Park, Tucson Museum of Art and more. The end of the route wraps up at Hotel Congress where there will be a performance by the band, "After 7" starting at 6 p.m. The hotel is also offering a plaza food menu for hungry exercisers. And over at Maynards Market and Kitchen you can find a birthday food special for $9. The event is free and people of all ages and skill levels can journey the route. Participants should register ahead of time at meetmeatmaynards.com and check in at Hotel Congress between 5:15 and 6:30 p.m.